As a key partner in helping Colorado residents understand and protect themselves from the risk of radon, real estate professionals can earn recognition for their efforts to share information and resources to help home buyers and sellers take steps to protect themselves and their families. See list of Radon Aware Real Estate Professionals. 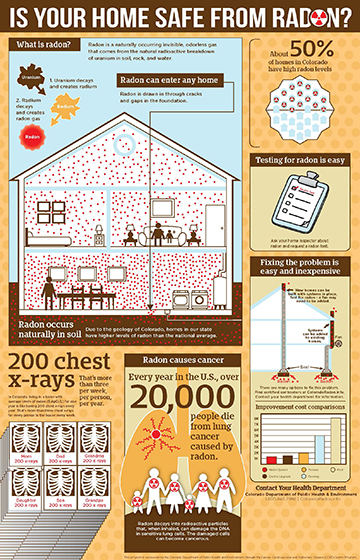 To schedule a Radon Aware informational session, complete the interest form please call 303-441-1580.